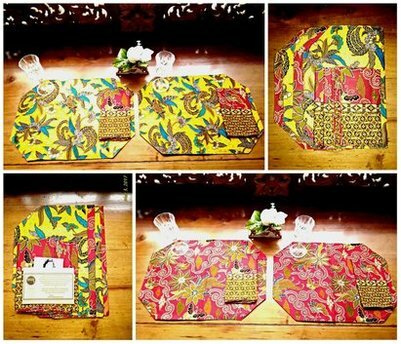 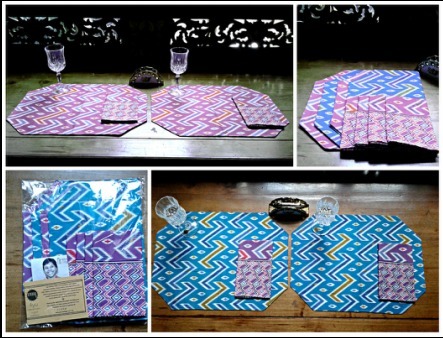 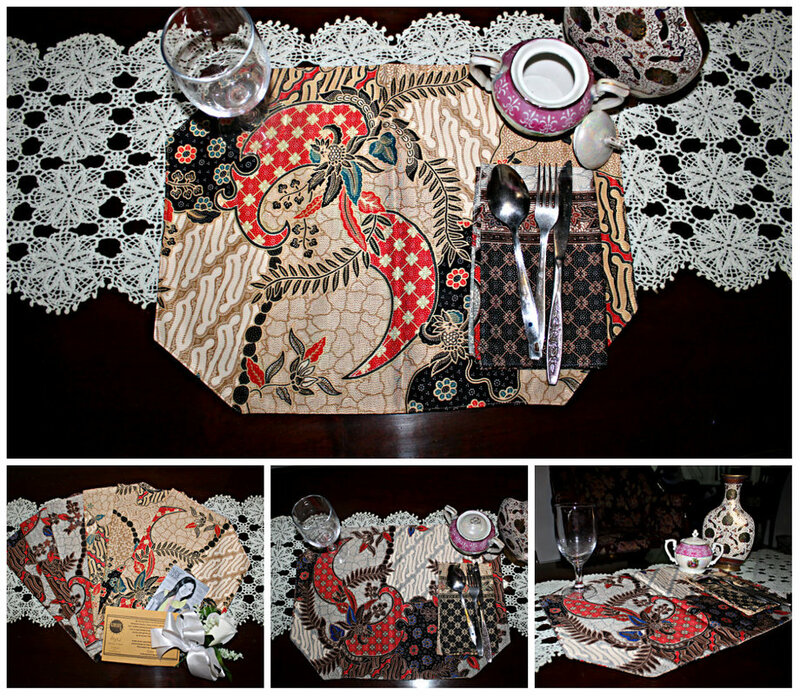 These double-sided placemat and napkin sets are perfect to decorate your table! 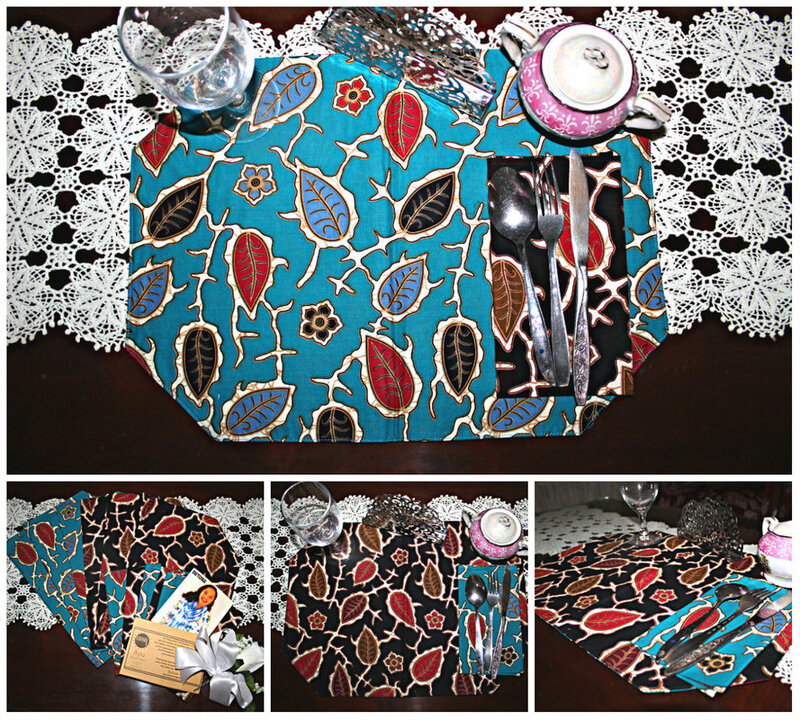 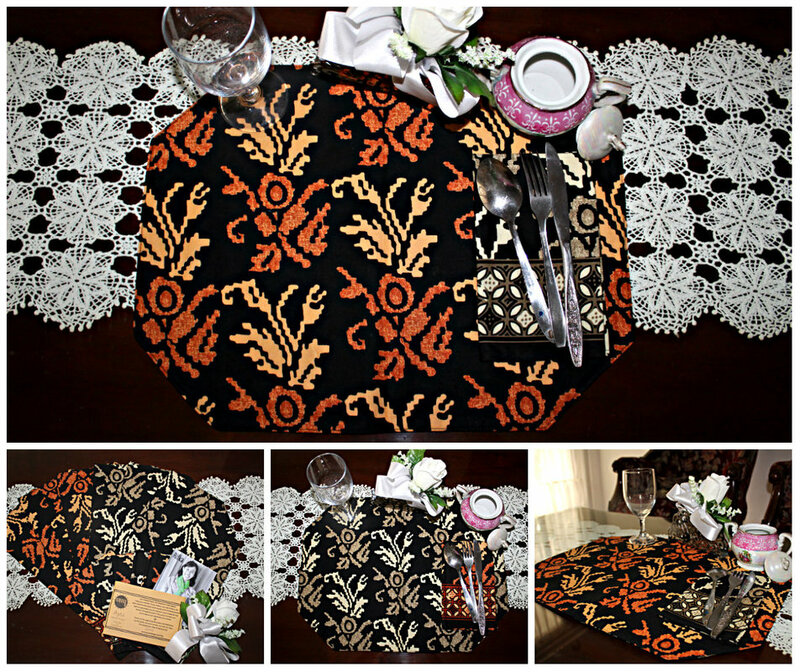 They have two unique batik patterns (one on each side) and come with a set of matching napkins. 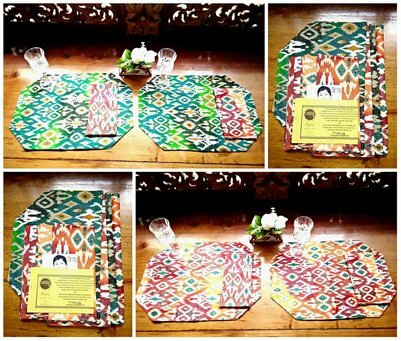 Each set includes 6 placemats and 6 napkins. 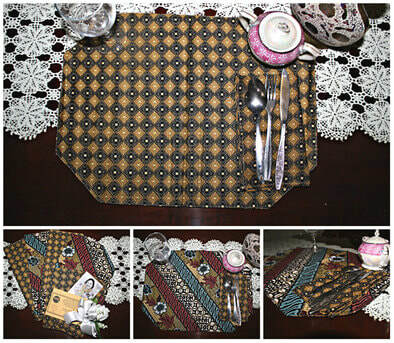 45 cm long x 35 cm wide. 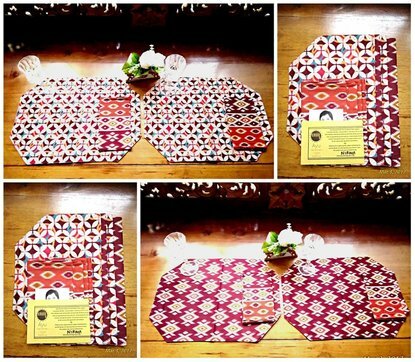 Each set includes 4 placemats and 4 napkins.